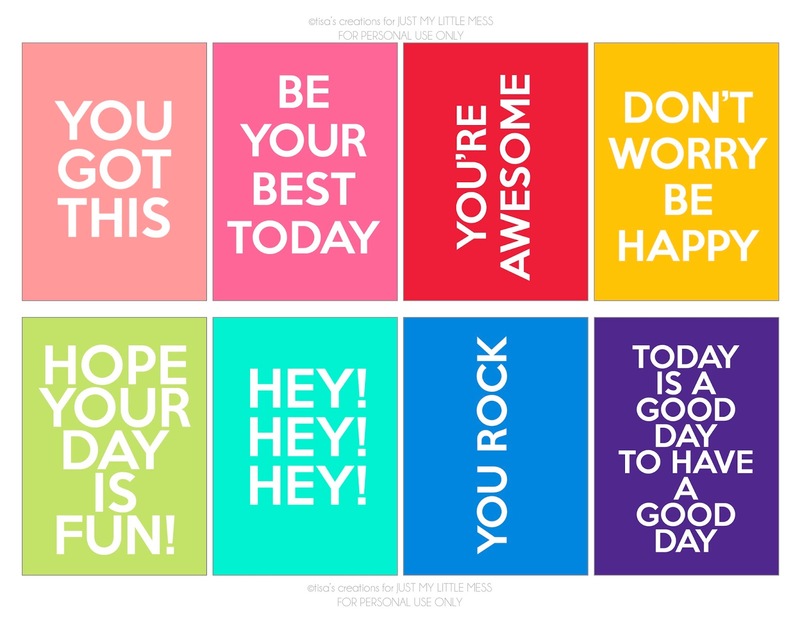 I've created a set of Lunch Box Notes - perfect for kids as well as adults alike. 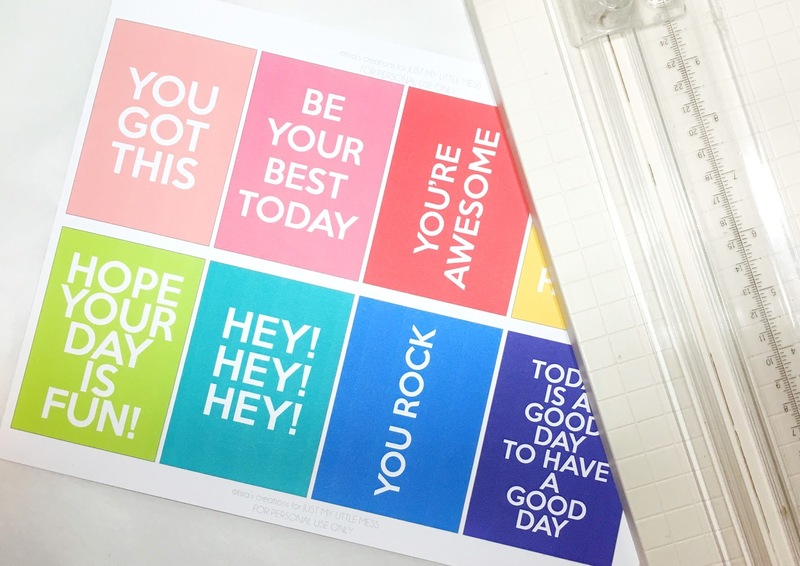 I love the idea of encouraging anyone! Here in Texas the kids have been having state testing in school. 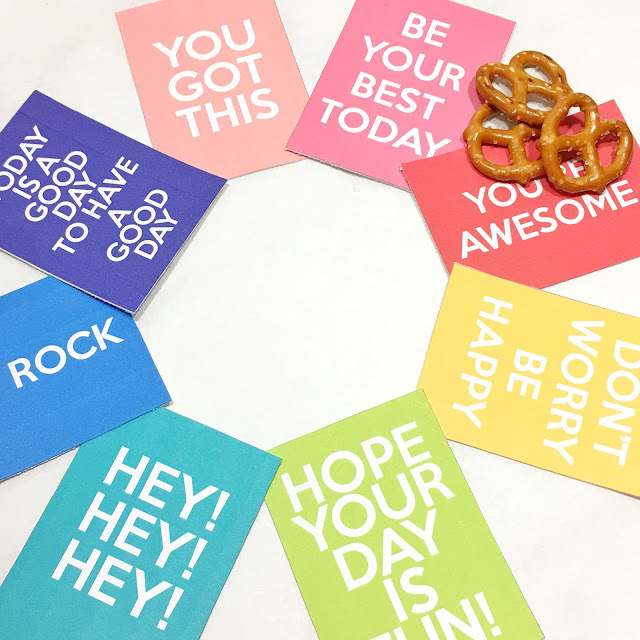 So, think about how a child would feel to sit down at lunch, open their lunchbox after a stressful test to be surprised with a cute little note of encouragement. 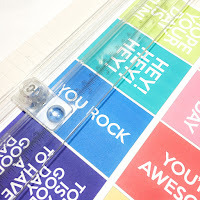 Just print, cut them out with your paper trimmer and insert into a lunchbox. You can find the printable here. Have a great week!